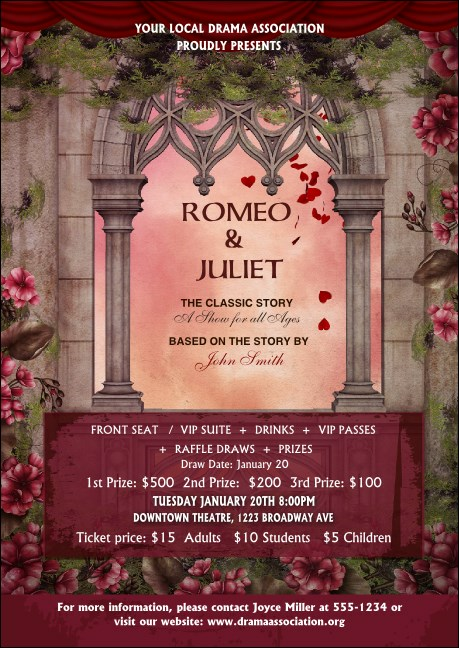 Create drama in your event promotions when you send the Romeo and Juliet Postcard. Printed on high quality card stock, this postcard features eighteen lines for your performance information, with a romantic design. Send it to Montagues, Capulets, and anyone who appreciates this tragic story.